. Najafov A, Sommer E, Axten J, et al. Characterization of GSK2334470, a novel and highly specific inhibitor of PDK1. Biochem. J, 2011, 433: 357-369.
. Yang C, Huang X, Liu H, et al. PDK1 inhibitor GSK2334470 exerts antitumor activity in multiple myeloma and forms a novel multitargeted combination with dual mTORC1/C2 inhibitor PP242. Oncotarget. 2017 Jun 13;8(24):39185-39197. Najafov A, Sommer E, Axten J, et al. 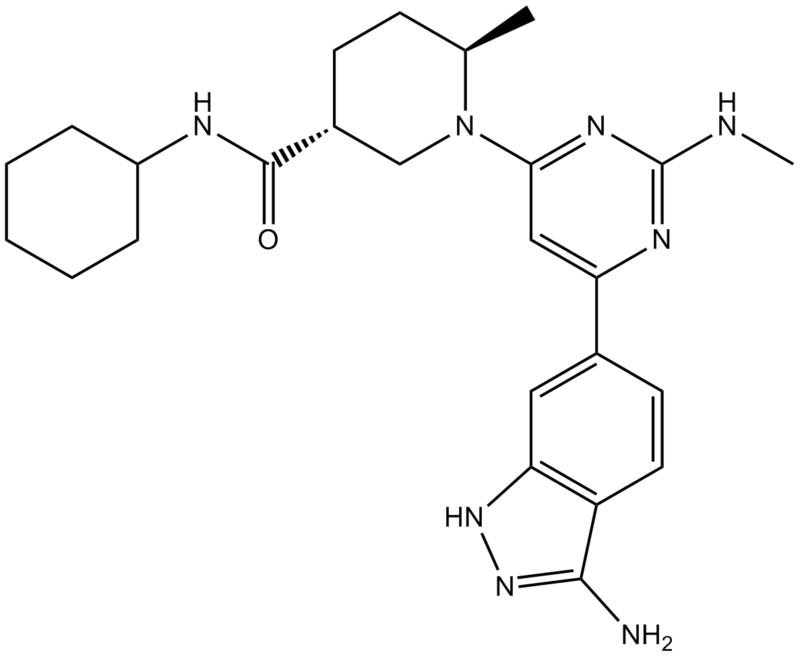 Characterization of GSK2334470, a novel and highly specific inhibitor of PDK1. Biochem. J, 2011, 433: 357-369.